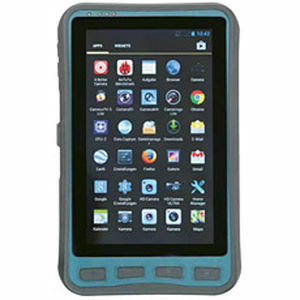 Lumen X7 from BARTEC is a rugged and highly flexible industrial tablet for rough environments. Lumen X7 has a large number of international certifications and can be used throughout the world. It is approved for ATEX and IECEx Zone 2/22 and for UL Class I Division 2. Approvals for other countries are possible on customer request. Thanks to its numerous functions, the Lumen X7 provides perfect support for warehouse management, transport, service technicians, operating personnel, engineers and project managers in the field and in industry.